Looking for private in-home or in-studio Flute lessons? Our Conroe teachers are ready to get you started. Find your teacher today! One of my primary goals is to take the stress out of practicing. Students often come to me overwhelmed with a piece they need to learn and leave the lesson much more relaxed with a plan to tackle the difficult parts. Students can expect a peaceful learning environment where they confidently develop all the skills of flute playing: tone, posture, technique, music theory, etc. I use a mix of the Rubank method and Flute 101 books with supplemental handouts. Flute lessons are only offered in my own studio. I do not travel to students' homes. At age 12, I wanted to play piccolo in a marching band. though I was soon to be inspired by the amazing young musicians of the Seattle Youth Symphony and camp Orchestras under Maestro Vilem Sokol. Then thrilled to join them after having the good fortune of training with the then Seattle Symphony flute/piccolo players- Sidney and Adele Zeitlin, I began as a classical flute and voice major at WWSU in Bellingham. 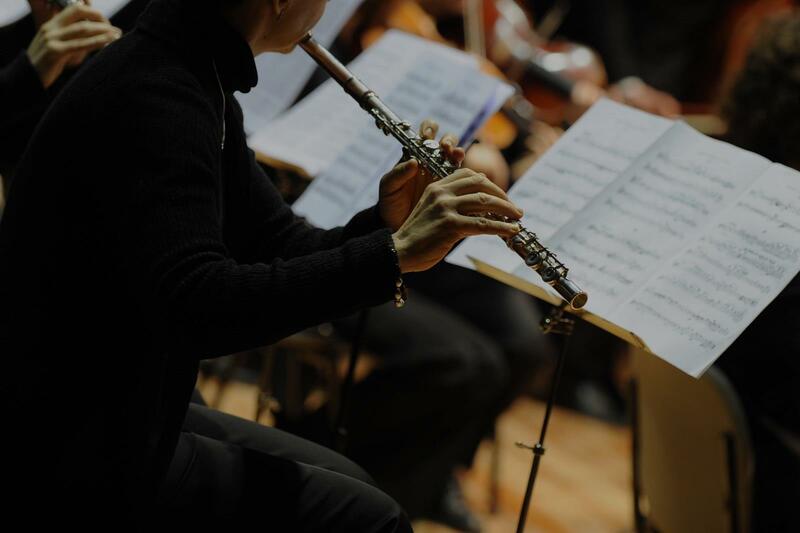 Experienced teacher of 5 years with a Master's degree in Flute Performance! Specializing in flute students of any level, and jazz flute at the beginner and intermediate level. All lessons are catered to the student's needs! You'll get a foundation of note reading as well as gain the skills to become a great flute player! Message me with any questions! "She is very encouraging. My daughter really likes her. She has improved tremendously. Absolutely recommend!" he has shown me music tips and techniques that I have never been shown before, and I look forward to continuing with her in order to learn more. Excellent teacher!" n see myself making progress very soon." "My daughter shared with me that her lesson went well and she was able to accomplish a lot. ur crazy schedule and she keeps in touch with me which is very much appreciated. non does a wonderful job of creating chamber music groups with recitals, in which my daughter was able to take part - definitely nothing that would have been offered in her school at this level! We are very lucky to have found Shannon!" es n I really appreciate her for that!!! She can make u feel extremely comfortable and assist you in clearly understanding the instrument n it's requirements!! Overall she's been great for Day 1! Look forward to many more!!! very attentive in details and is always very helpful, trying to find the best solution." "Very nice! Very patient with my son. My son really likes her."